Audiobooks are heating up headphones across the country. Celebrate the art of storytelling this June. How you can celebrate Audiobook Month at your Library and just Audiobook’s in general! Share what you’re listening to with the hashtag #loveaudiobooks. What would a summer vacation be without some fun in the sun? Get some audiobook suggestions from Listening Library and check out Audible’s Everything Under The Sun for exciting debuts to new releases from household names & preview this summer’s most anticipated listens. Speed up any road trip with family listening. Perfect for family trips, audiobooks provide engaging entertainment and facilitate discussions making those car rides fly by. Audio CD’s. Don’t forget your library also carries audiobooks in CD formate, which is another way to enjoy an audiobook in the car or at home. Download FREE listening apps. Add Libby and/or OverDrive and Hoopla to your devices. These FREE apps will let you listen to any audiobook available at your local library’s. 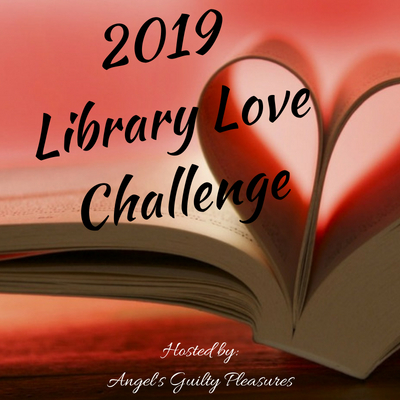 Join in a few challenge’s like the #LibraryLoveChallenge hosted by Angel’s Guilty Pleasures & Brooke Blogs and/or the Audiobook Challenge Hosted by Hot Listens & Caffeinated Reviewer.